The world's biggest airliner, the Airbus A380, has been creating some attention because of its sheer size. It is quite an achievement to build something so big that can fly with so many people. It promises to provide new advancements for passengers at the front (in first and business class), and maybe some modest improvements in seat width and pitch for those in cattle class - but for most it threatens long queues at bathrooms and enormous waits for luggage and checkin as 500 plus passengers fill departure lounges and the like. Airbus has made much of the ideas of onboard bars, casinos, shops and the like, but the truth is that most airlines will simply squeeze in more seats. The A380 has been dogged by delays, partly due to Airbus not anticipating in its design the desire by most airlines to have sophisticated on demand in flight entertainment systems, and so wiring needed to be redesigned. There have also been problems meeting the promises on maximum weight, so the whole programme is behind by at least a year. 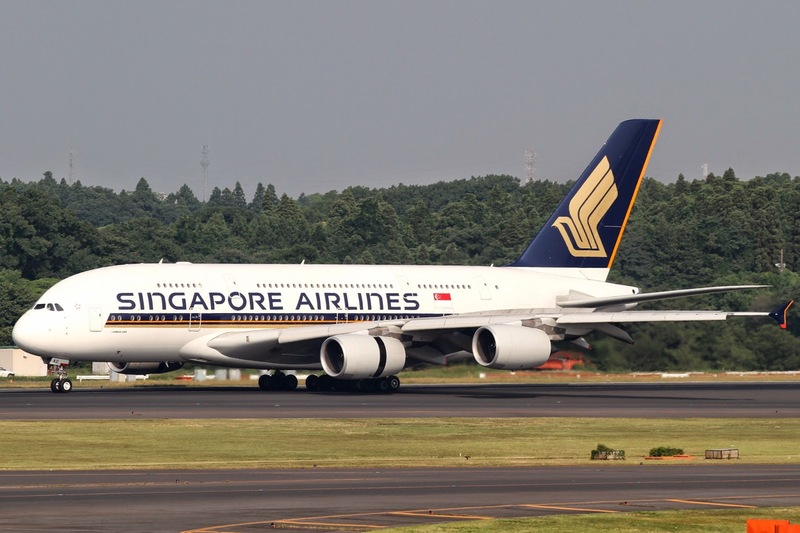 Nevertheless, Singapore Airlines was the first to fly the new whalejets, between Singapore and Sydney, and then London and Singapore. Air France announced its internal configuration for the A380. Air France is buying 12, with the first three arriving in 2009. However, Air France is promising nothing too exciting - with 538 seats. The lower deck will have 9 first class and 343 economy class, with the upper deck carrying 80 business class and 106 more economy class seats. Emirates has since announced its configurations. There will be three, ranging from a relatively spacious... to a tight .... heaven help you on the latter, which will probably be used for connections to and from India and Pakistan. The lower density ones are likely to operate towards east Asia, Australia and New Zealand. However, Emirates has announced nothing special, other than it will have the latest seating already installed on its newest 777s. For New Zealanders, Singapore Airlines, Qantas and Emirates will offer the best chances to fly on the Airbus A380, but probably not directly for some time. 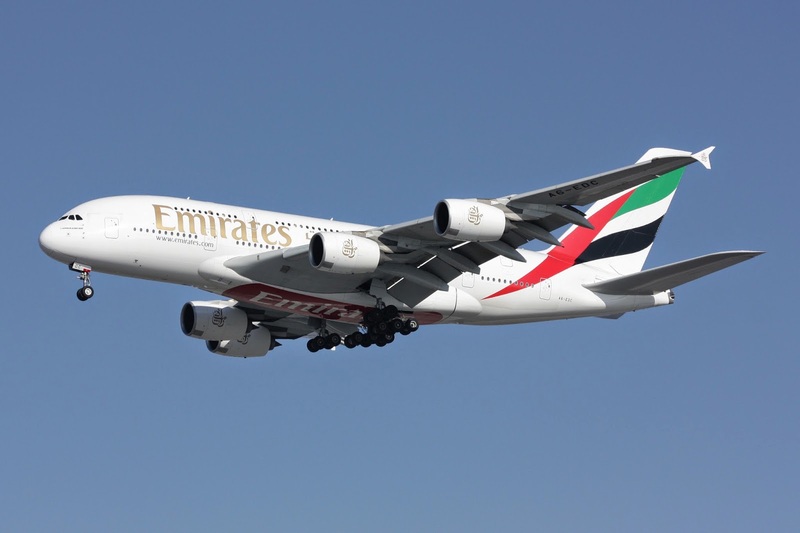 Emirates is the only airline out of those likely to fly the A380 to Auckland on a regular basis, as an extension of services between Dubai and Sydney, Melbourne and Brisbane. Certainly Air NZ has no routes consistently busy enough to justify buying the A380 in the near future. All we know about Singapore Airlines is that its new business class (easily the best in the world and not seen on flights to NZ yet) will be seen on the A380, big wide seats that recline fully flat and not at an angle with the fuselage. Singapore Airlines is keeping what it does for economy and first class on the A380 under wraps. Others are doing the same, but it is clear Air France sees little need for the A380 to be a flagship for anything particularly special. Forgotten posts from the past: Compulsory welfare - a quaint remnant of nationalism? With the whole debate about welfare one question is rarely raised - why does compulsory state welfare only apply to the poor in your own country? Why are the poor in other countries less needy? Now the obvious answer is that it would be unaffordable to tax everyone to pay for people in other countries to be relieved of poverty, then, in which case, as with anything that you fund, you prioritise. What is more important, a family with a TV, bed, clothes, car and ample nutrition, or a starving family with nothing? For to simply say it is "none of our business" you're admitting you're a nationalist. Human beings not residing in the country you live in are a lower priority to you. Don't get me wrong, I am not advocating a global taxpayer funded welfare system. I don't advocate the state based one. However, given it is the left that is the source of the welfare state and defender of it on moral grounds, on what moral grounds is there to give money to people who, by any measure, are better off than the vast majority of humanity? Could it simply be that socialism is nationalist too? and isn't that rather racist? Chris Trotter: the Greens are the last hope for "we" ? It is rare that a commentator on the left exposes so readily the fundamental difference in understanding and approach to politics as Chris Trotter most recently did in The Press. In that article he posits almost exactly the narrative the Green Party would want you to understand - which is that the Greens, and only the Greens, are revolutionary and wise, and out for the good of the many, unlike the other parties out to sustain the status quo and the "counter narrative" of "neo-liberalism" - the pejorative term originating from the left, used to dismiss and debase any and all who promote capitalism. The notion that the Greens are fighting a lonely vanguard in a fundamental struggle is understandably appealing to an aging Marxist, who has witnessed with almost endless bitter dismay, at the edifice of New Zealand's own - and dare I say carefully worded - national democratic socialism - crumble after it nearly bankrupted the country. You see the autarchic, egalitarian, isolationist, "full employment" "golden age" Trotter harks back to, is reminiscent of the same sort of nationalist "golden ages" that autocrats all over the world point to. An age that was destroyed by traitors to the cause, who "sold us out" to foreign capital. Never fear, the Greens are here, because the new threat is global annihilation, and they alone are "dedicated to the practical application of ecological wisdom". The "politics of ecological denial boasts some extremely powerful backers". What untrammelled nonsense. A ridiculously simple view that fits the intellect of someone who regards The Simpsons as a comprehensive social narrative, but one that doesn't actually fit facts. It isn't Montgomery Burns vs. the people, as much as Trotter wishes it were. Remember Nicky Hager? Called "journalist" by so much of the NZ broadcast media, but who would be called at best an "activist" elsewhere, well hardline anti-communist activist Trevor Loudon has outed some of Nicky Hager's radical leftwing past. I started writing about him, but simply got bored. It's well known Hager is the poor little rich boy, who has been able to avoid having a real job through his family's comfortable assets - accumulated through capitalism, which he has since spent much time criticising taking a fairly standard hard-left, anti-Western line politically. Most recently being known for his book that claimed to be outing a "scandal" that the National Party hired consultants to assist in campaigning strategy. The xenophobic boogie man that New Zealand voters were conned by lying politicians on the right - which stopped them voting for the parties that are really in their interests - i.e. the Greens. Besides supporting the Sandinistas in Nicaragua (hey Helen Clark did too), he also was a key contact in the Campaign for Nuclear Disarmament - a pro-Soviet organisation that largely lamblasted the US, UK and France for their nuclear arsenals, calling for unilateral disarmament by the West (but never expecting the USSR, nor China, to do so). He allied himself with the late Stalinist Ron Smith. Of course anything Hager utters should be seen in the light that he is just a political lobbyist, he is no more "investigative journalist" than any other activist, but a supporter of the Green Party and everything he produces is intended to further his political goals. Therefore, you'd hope that when he next comes out with some "shock horror" probe into how awful some business, centre-right politician or Western power is, that a real journalist would ask him some probing questions and take a critical look at his work. However, such journalists are literally the proverbial hen's teeth in New Zealand. Does Nigel Farage love Vladimir Putin? However, it looks that way, and in politics that's almost all that matters. He's made a blunder, in his venal hatred of the EU he's made it the scapegoat and the driving force for the revolution in Ukraine. Unfortunately, he is wrong and hopefully he wont make the mistake again, as I write on my UK blog.